Custom Home Inventory Services Inc. is a privately owned company incorporated in January of 2007. 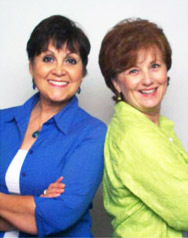 The company is owned and operated by Irene Balli-Dumas & Janet Cody. We are dedicated and hardworking professionals who worked many years for a Fortune 500 company. We founded Custom Home Inventory Services Inc. with the goal in mind that we would utilize our knowledge and experience to create a business that would provide a useful valued service to our community. We are located in San Diego County where many residents have experienced sudden, unexpected losses of their homes and possessions due to wildfires. The idea of creating a business developed into filling an existing void; a service to help people inventory their possessions -- a service to help homeowners and business owners protect their investments. We have learned firsthand from fire survivors who desperately tried to recreate a list of all their possessions from the ground up and found it to be an overwhelming and heartbreaking task! The realization that Fire Survivors did not have an organized, structured, easy to use system to help them get through the nightmare of re-creating a contents list of their losses, led us to additionally develop services specific to their needs. Custom Home Inventory Services Inc. was created to help ensure your financial protection and provide you with peace of mind. Supporting research, treatment and education to help find a cure.